Public safety personnel need to respond the moment a call comes in. The Siren and Lights Interface Module connects new or existing third party light and siren systems to Motorola’s APX7500/APX6500 mobile radios. 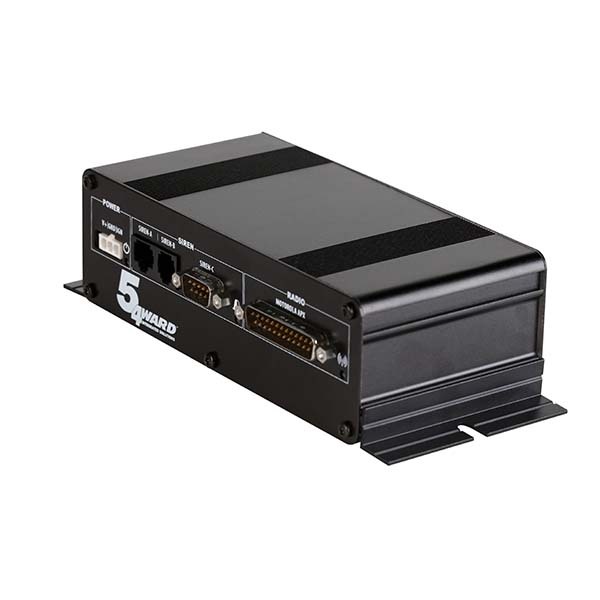 This solution allows the user to control all in vehicle radio, siren, and light functions from an 03, 07 or 09 APX control head to fit any response scenario. Connects to APX mobile with 1 cable. Connects to OEM sirens with 1 or 2 cables. Compatible with APX 7500 and 6500 TDMA capable radio and feature set. Compatible with APX O3, O7, and O9 control heads. Supports single microphone for two-way audio and PA audio. 4 dedicated inputs for auxiliary functions.